The ERK cascade regulates various cellular functions and is hyperactivated in more than 85% of cancers leading to dysregulated proliferation. This hyperactivation as well as oncogenic activating mutations in the different components of the cascade (mainly RAS, RAF and MEK) have inspired the development of several inhibitors targeting the different tiers of the cascade. As a result, clinically approved RAF and MEK inhibitors are used for targeted therapies of metastatic mutated BRAF melanoma. However, along with the impressive clinical results observed with many of these patients upon initial treatment, other patients do not respond to the drugs, and development of resistance in the sensitive group is unavoidable. Deciphering the molecular mechanisms underlying this intrinsic or acquired resistance is a necessity in order to enhance the treatment efficacy of the drugs used for ERK-addicted cancers. 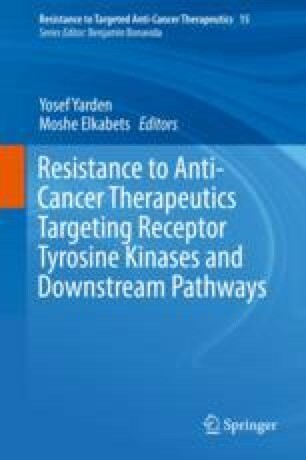 Several resistance mechanisms have been proposed up to date, which result from either preexisting mechanisms in some or all cells within the tumors or due to drug-induced mechanisms. These include (a) expression of drug-resistant RAF isoforms (b) molecular or genetic alterations of downstream components that reactivate the ERK cascade and (c) induction of upstream components and other signaling pathways that bypass the drug blockage. All these mechanisms eventually result in inducing reactivation of ERK or other survival-related pathways. Here we review the mechanisms underlying drug resistance and future efforts to develop activity-independent, resistance-escaped, more efficacious anti-tumor drugs. This review was supported in part by ISF grant 625/15.